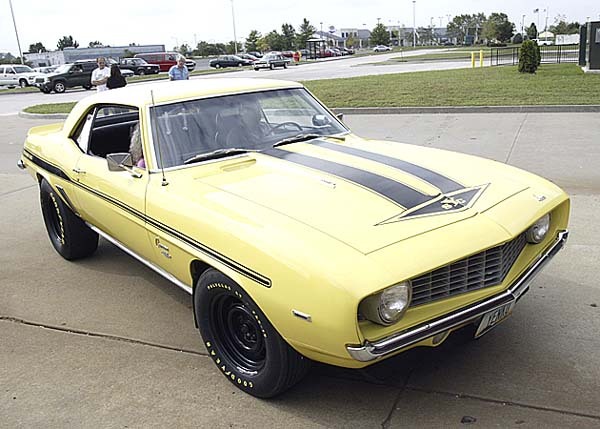 Most folks by now know that Bill Hunter is the original owner of this '69 Yenko Camaro, which is cool in it's own right...but how many folks know that this is NOT the '69 Yenko Camaro Bill *originally* left the showroom with? 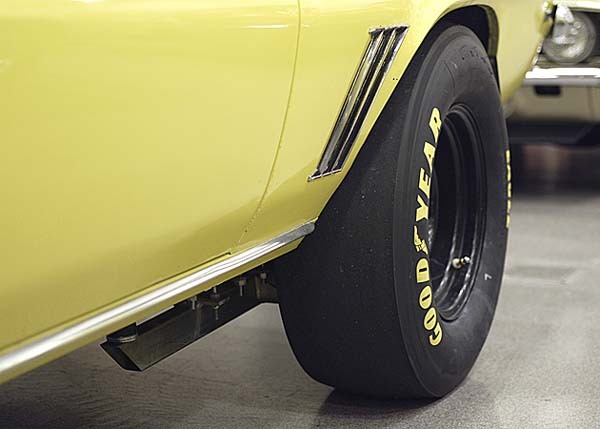 Way back when, Bill left Gates Chevrolet with a Hugger Orange, X66, 4-speed Yenko Camaro...but immediately following the purchase, Bill got involved in some heavy street racing action and grenaded his new 427! But like any savvy street racer would do, he immdediactely hooked a chain to the Camaro and towed it back to the dealer in the middle of the night! First thing the next morning, Bill is at the dealership, with his warranty claim...they give him the option of fixing his engine, or for $500 he could walk away with yet another new Yenko Camaro from their inventory! 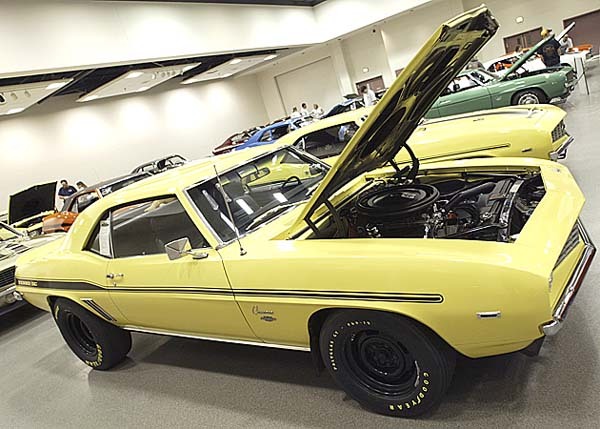 Bill chose the latter, an X66 Daytona Yellow 4-speed car...and this street bruiser has been his ever since! Bill attended his first Reunion, SCR4, in 2001...but as part of some wierd twist of fate, the very car he originally purchased just happened to be in attendance as well! Talk about a small world! In all, Bill has attended 5 of the last 6 Super Car Reunions, and is truly one of the highlights of the show, each and every year...talking to him is like a history lesson, and he's not afraid to let it all hang out on the track, either! But between he and his wife, you'd be hard pressed to show me 2 nicer people...here's to your belated Feature, Bill! Nice write up that can only be beat by how nice of a guy Bill and his wife are. PLEASE, FEEL FREE TO STAND IN FRONT OF THEM !!! I remember when Bill pulled into 2001 like it was yesterday. As always, several of us were standing around, waiting for the next supercar to roll in. Well here comes this couple in their motor home, I think with Arizona plates, looking like they were looking for the KOA campground, with the only evidence that they might be in the right place was the enclosed trailer behind the RV. But none of us were ready for what happened next. 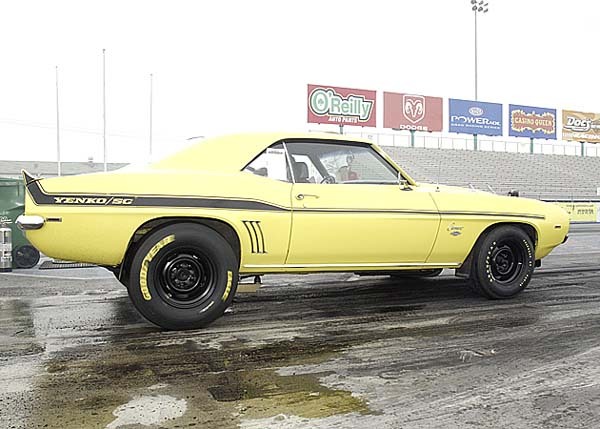 Bill drops the door of the trailer and we can see the rear of a Yellow Yenko Camaro, and no doubt a survivor. Needless to say, Bill and his car was soon being swarmed. And to top it off, Bill precedes to tell us about buying two Yenko Camaros new, and even shows us the paper work for both cars. At this year's reunion, Bill was on a mission. 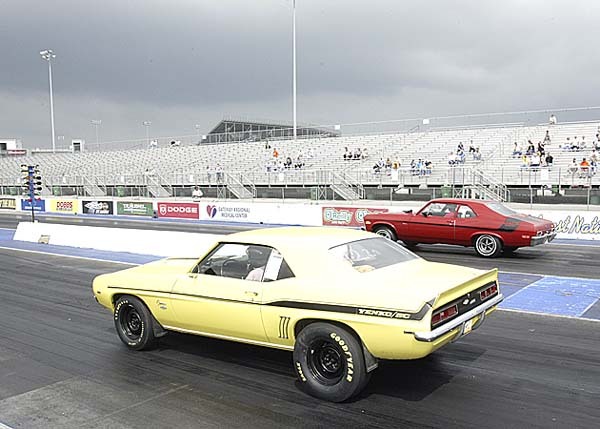 A friend of his, maybe his brother-in-law, had challenged Bill to a race, Bill's Yenko against a '06 Vette. This was to be a re-match of a race which had taken place years ago. As he did the first time, Bill came out on top. A stunning car indead and a cool story that I had heard years ago and in fact very neat to see the two reunited with his original hugger orange car. Bill and his wife are in fact part of the "good people" in this hobby. 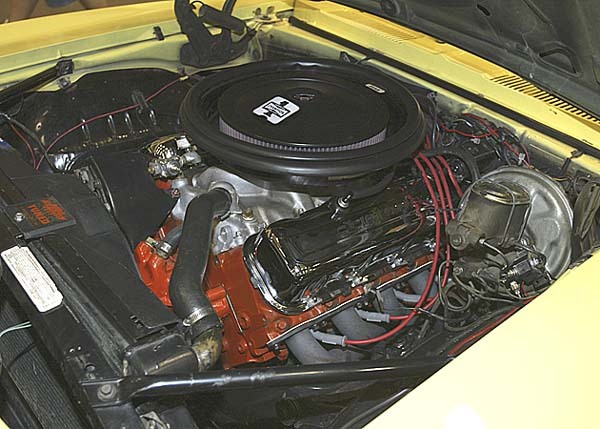 Bills Yenko is one of my favorites. I love the story and think it is even cooler when a "regular" guy like him has a car like that! 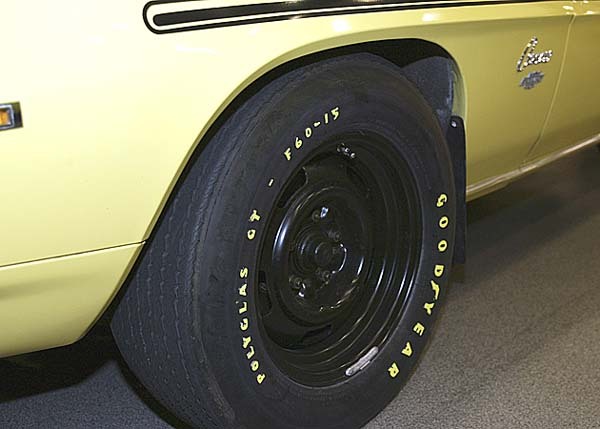 Wow....Bill sure gives new meaning to the 'Double Copo' phrase! . I like real cars best...especially the REAL real ones! Very nice to see an original owner car! Is he still running it with the original motor? Here's a video from SCR9! In all, Bill has attended 5 of the last 6 Super Car Reunions, and is truly one of the highlights of the show, each and every year...talking to him is like a history lesson, and he's not afraid to let it all hang out on the track, either! But between he and his wife, you'd be hard pressed to show me 2 nicer people...here's to your belated Feature, Bill! Don't mistake education for intelligence. I worked with educated people. I socialize with intelligent people.